Last weekend, our latest MAPP training series closed with a whopping 15 participants graduating! We hosted participants from all over the Greater Boston area for this class, including residents of West Roxbury, Newton and Ashland. We were pleased to have a single parent in the group, as we encourage single parents to participate in MAPP training just as much as we encourage couples. Contrary to popular belief, you don’t need to be married or live in a certain area to be a foster or adoptive parent – all you need is to have the will to do it! All graduates of this particular class graduated as pre-adoptive parents, but MAPP training is open to anyone who wishes to foster or adopt a child in Massachusetts. CFCS offers MAPP courses three times a year, and we always schedule them on Saturdays to accommodate a weekday work schedule. 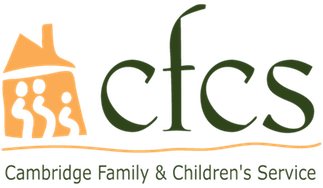 If you have further questions or are interested in enrolling in CFCS’s MAPP training, you can contact Grace Steele at gsteele@helpfamilies.org!